1. Taking the shine off. Unsurprisingly, matt-finish kitchens are continuing to gain popularity in 2018. They offer a flawless, sleek look with the advantage of being lower maintenance than their gloss counterpart. 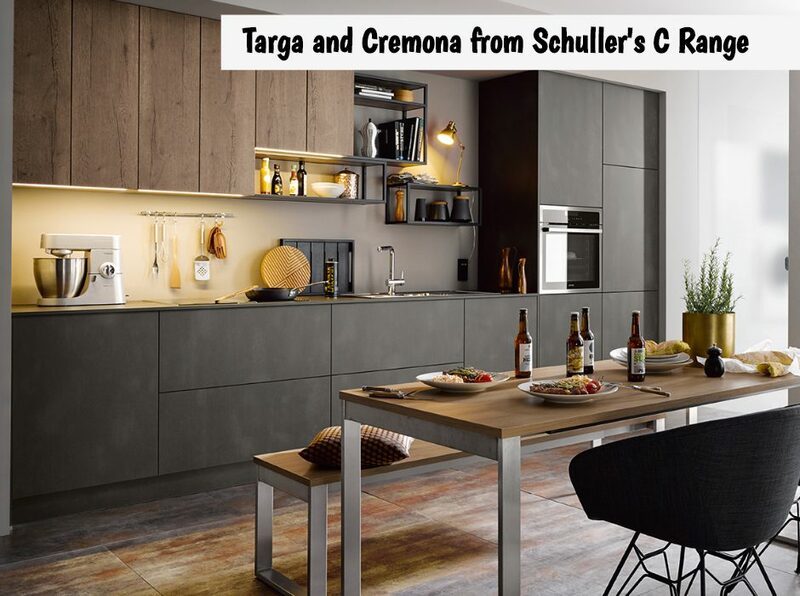 Their appearance is complemented by combining them with different materials, finishes and textures, such as wood or metallic effects, and give your kitchen design a contemporary and unique finish. Matt finish doors are available in a huge range of colours, so your new kitchen has the potential to be as unique as you are. 2. Take it up another level. Adding a second layer of worktop to your island or peninsular unit is looking to be another big trend this year. It’s most often utilised as an extra space for seating but, is so much more than just a practical solution. 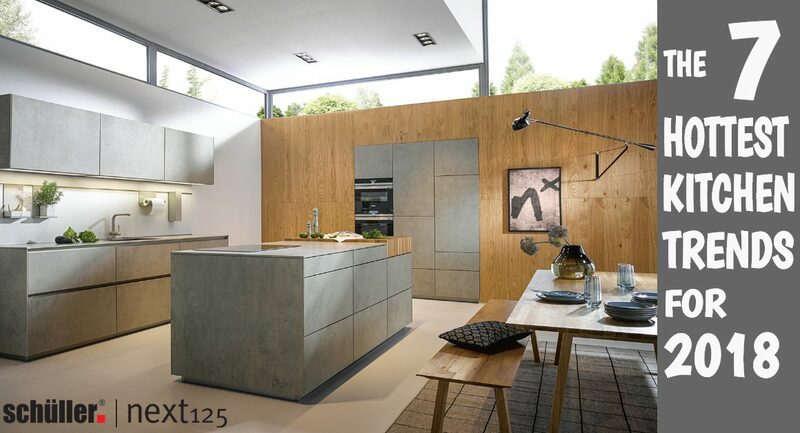 The extra aspect looks amazing when manufactured in a contrasting material to the rest of the worktop and it gives a high-end look for your new room. This trend is a great way to create more worktop space and give another dimension to your standard rectangular island unit. 3. Time to slim down for the New Year! 4. Don’t go against the grain. Dark wood effects and textured oak are both big for 2018. 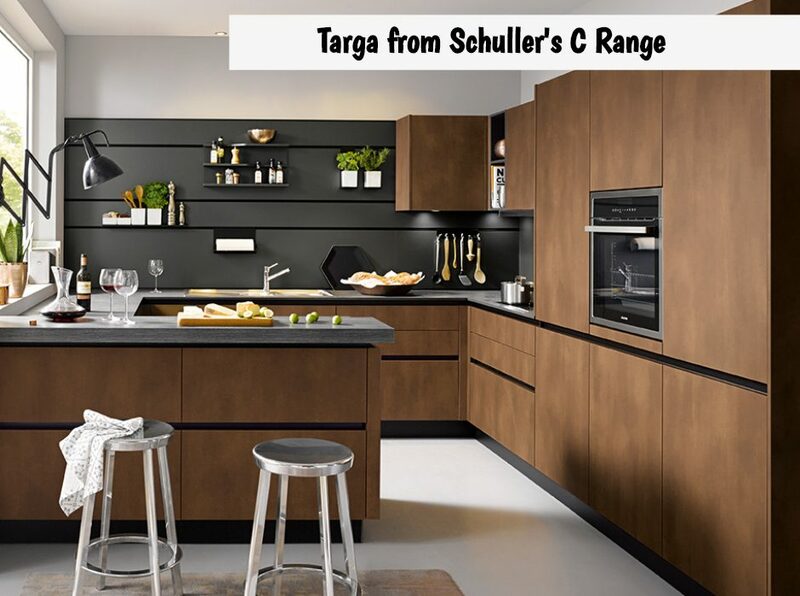 Cabinet doors in deep, rich wood effect colours look stunning when teamed with a metallic finish doors and completed with a matching ultra-thin worktop. Whereas, textured oak units make a real statement when combined with smooth, shiny glass cabinets within the same space because the rustic nature of the wood and the modern finish of the glass contrast perfectly to give a contemporary feel. 5. Mix it up a bit! 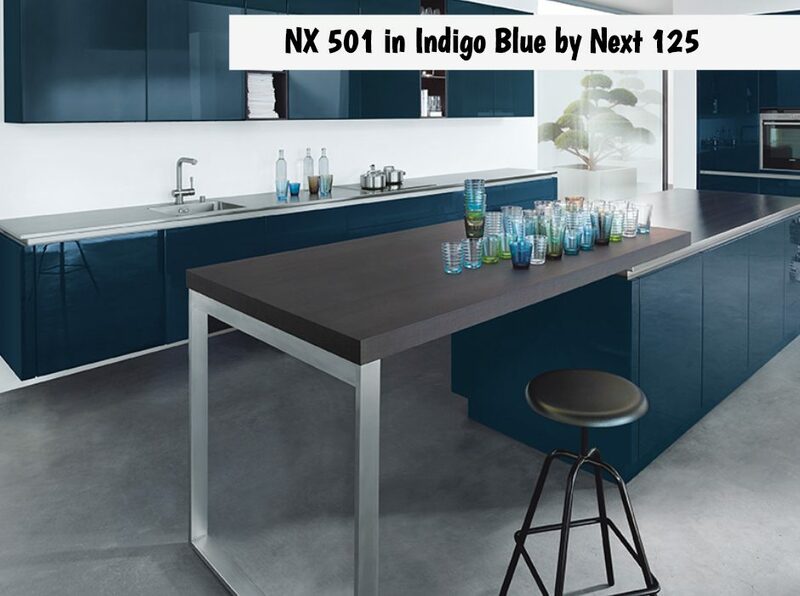 Experimenting with a little colour in your kitchen design will give your new room a modern twist – ‘2018-style’. 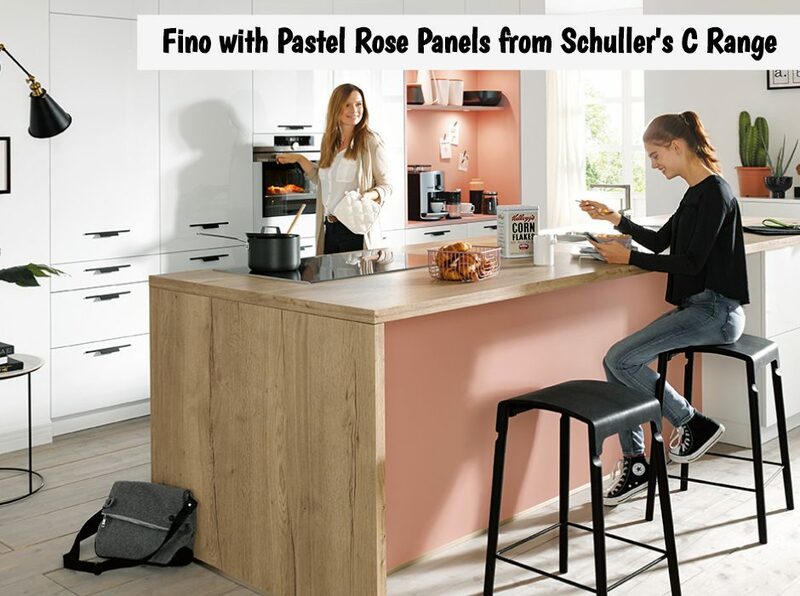 If you’re not brave enough to go for a full run of coloured units, an accent colour on the support panels will inject some personality without the long-term commitment. The panels can easily be changed a few years down line (or painted in a different colour) if you tire of the shade you originally chose. Also, consider adding a splash of colour by incorporating some brightly coloured open shelving which is very ‘now’ but can also be easily replaced later on if your tastes change. Combining textures within your new kitchen can inject some personality and give you a bespoke kitchen design and…yes…you’ve guessed it…it’s a growing trend for 2018! Combining a ‘feel the grain’ wood effect door with a sleek shiny gloss door gives an impressive high-end look to your kitchen. This unique style can be enhanced with a laminate worktop in a matching wood effect and, if you’re feeling brave, the use of statement wall panelling completes the look. 7. So you think heavy metal isn’t for you?! Metallics are the big kitchen trend for 2018. We’ve all seen the amount of copper kitchen accessories available at the moment (and, if it’s good enough for Nigella…!) and now the metallic trend of the accessories has spread into the kitchen cabinets themselves. 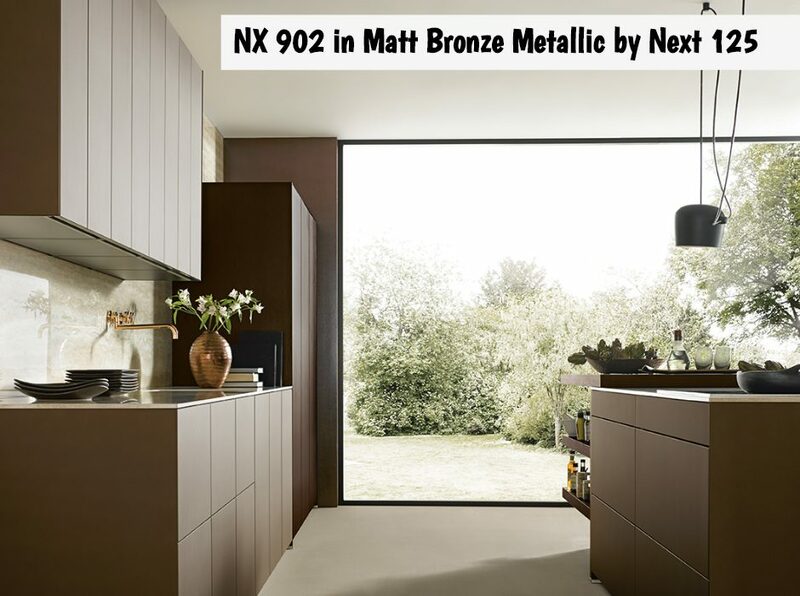 When it comes to your kitchen design, metallic effect doors will give you an almost futuristic look to your room. Whether you go for a bronze or steel effect door, when combined with black panelling and an exposed brick wall it completes the industrial look which is filling the home design magazines this year. So, there we have it, 2018 is set to be an exciting one for kitchen design. 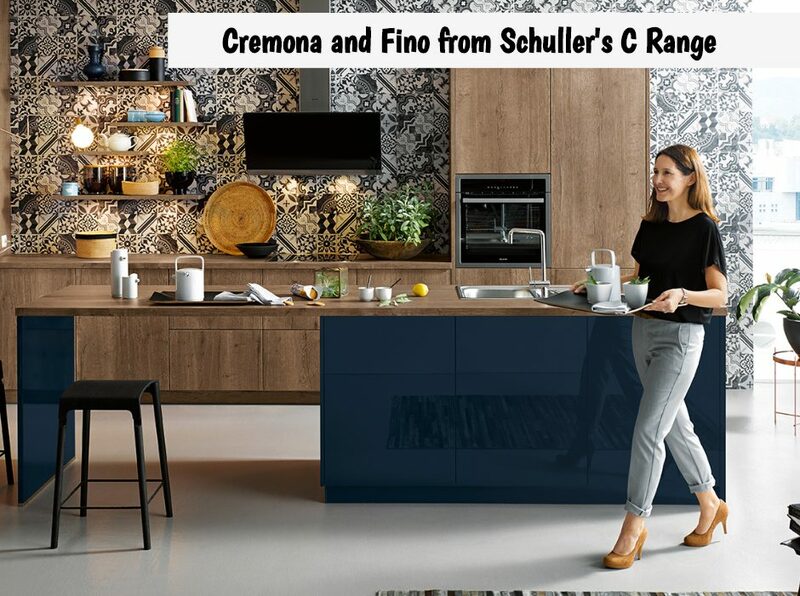 Whether you go all out and choose to mix colour and wood with patterned wall panelling or adopt the 2018 trends in a more subtle way with ultra-thin work surfaces, be sure to discuss it with the experts first. Ensure you’ve considered all the colour and texture options before settling on your finished design. 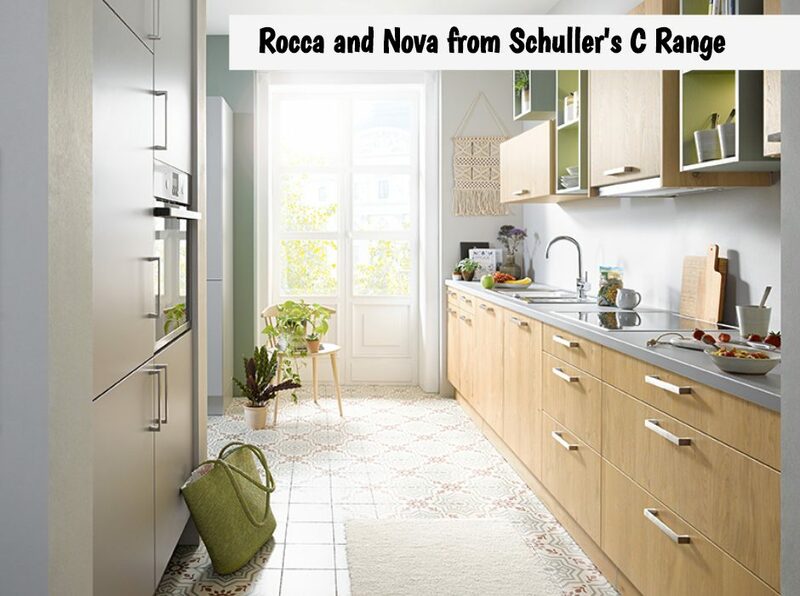 If this is the year to make a change in your home and this blog has got you excited about taking the first steps to owning your dream German Kitchen, book online to secure some one-to-one time with one of our Kitchen Experts in Cardiff. They’ll happily design you a kitchen (or two) to inspire you and you’ll be able to view them on our big screen as well as in 360 degrees using our VR headsets.